For nearly three decades, Affordable Fencing Company has been Seal Beach and Stanton's contract of choice for a wide range of high quality, affordable fencing. Over the last 30 years we've provided over 100,000 residential, commercial and industrial clients with exceptionally affordable and long lasting fences, gates, arbors and patio covers. Affordable Fencing Company specializes in vinyl fencing, but we're equally experienced in designing and installing aluminum, wood and glass fencing. Whether it's a security fence for your warehouse, a safety fence for your pool, or a patio cover for your property, Affordable Fencing Company is truly dedicated to providing you with solid expertise and superior service you can trust. With Affordable Fencing Company you get a highly skilled and experienced fencing contractor that is fully licensed, bonded and insured. Experience the best in fencing options for Seal Beach and Stanton -call Affordable Fencing Company today for your FREE consultation and estimate. 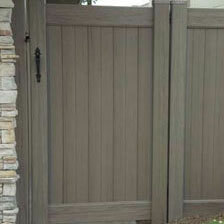 Every Affordable Fencing Company fence and gate is custom-made with superior workmanship and durability. We specialize in vinyl fencing because it's strong, versatile, and virtually maintenance free: vinyl fencing won't blister, flake, peel, corrode, rust or rot. 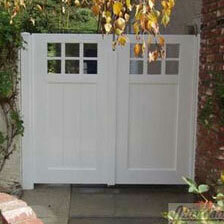 Additionally, we custom-build and install wood, glass, and aluminum fencing. 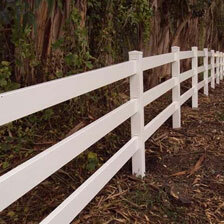 Our wood fencing is typically made of sturdy redwood that can be stained or painted, and cut to any height or width. 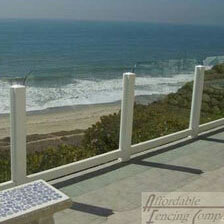 Our glass fencing is manufactured with strong, tempered safety glass. 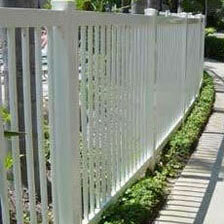 And our aluminum fencing comes with a lifetime warranty. It's available in different aluminum grades to meet the varied needs of our residential, commercial and industrial clients. 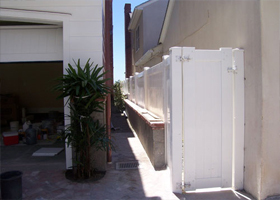 Affordable Fencing Company is unmatched in its affordable, customized and superior quality vinyl fencing for Seal Beach and Stanton residential and commercial clients. We have more than 30 years of experience building and installing picket, semi-private, private and ranch rail vinyl fencing and backed everyone with a 50-year warranty. Our thousands of satisfied Seal Beach and Stanton customers are a testament to the quality craftsmanship and enduring value of our vinyl fencing. We design and manufacture exceptionally strong, maintenance-free vinyl fences that require no painting and are fully resistant to rotting, rusting, flaking, peeling, and blistering. 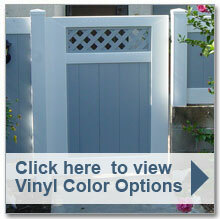 Your vinyl fence can be designed in your choice of color and cut to your prefered style and size. 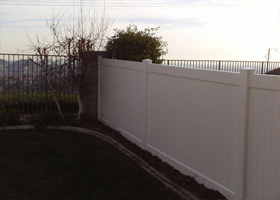 To learn more about Affordable Fencing Company's vinyl fencing for Seal Beach and Stanton, or to schedule a FREE estimate, call us today. Affordable Fencing Company has been Seal Beach and Stanton's leading contractor for new or replacement wood fencing since 1984. That's because our Seal Beach and Stanton clients know they can expect exceptional craftsmanship and high-quality redwood for your wood fencing. Our wood fences are available in picket, ranch rail, semi-privacy, or privacy designs and can feature dog-eared or cap and trim styles with or without tongue and groove detail. Additionally, they can be custom-cut to any size, height, or width, and painted or stained to complement your home or business. 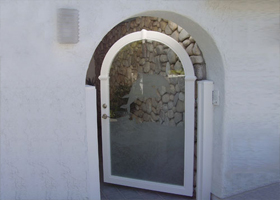 We perform highly professional and efficient installations in Seal Beach and Stanton with long-lasting results. For your FREE estimate, or to find out more about our wood fencing options in Seal Beach and Stanton, call Affordable Fencing Company today. For nearly three decades we've been devoted to providing our Seal Beach and Stanton residential and commercial fencing clients with attractive, long-lasting glass fencing. 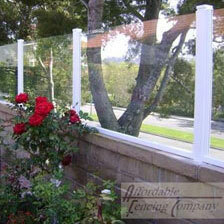 We can install glass fences around any perimeter and only use exceptionally durable, tempered safety glass. We offer glass fencing with or without posts, and back our fences with a comprehensive warranty. To learn more about glass fencing options for homes and businesses in Seal Beach and Stanton, or to schedule your FREE estimate, call Affordable Fencing Company today. 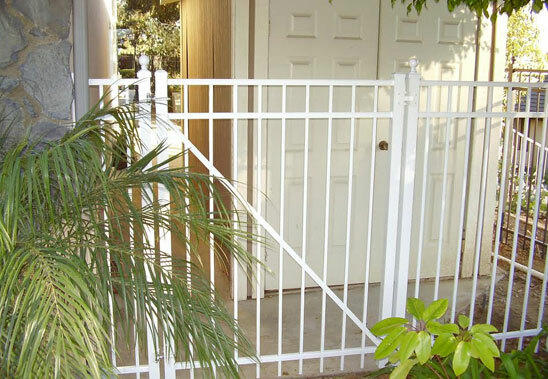 Affordable Fencing Company offers the most durable, cost-effective aluminum fencing available to Seal Beach and Stanton home and business owners. Our aluminum fencing includes spear top, flat top, and high security styles in three grades of aluminum for residential, commercial and industrial uses and a number of paint color choices to suit your needs. Our paint is powder-coated for superior durability, ensuring that it never chips, peels, cracks, or blisters, and we cover our paint and aluminum with a lifetime warranty. Call us today to learn more about Affordable Fencing Company's aluminum fencing design and installation services in Seal Beach and Stanton, or to schedule a FREE estimate. 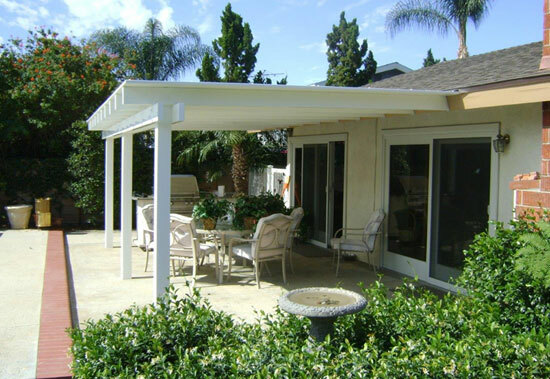 With nearly 30 years in the business and thousands of satisfied customers, Affordable Fencing Company is the premier choice for high-quality, affordable vinyl patio covers and arbors in Stanton and Seal Beach. We can install custom-built solid top, louvered top, and 50-50 vinyl patio covers in any height or weight, and back it with our 50-year vinyl warranty. All our durable, attractive patio covers provide long-lasting weather and sun protection, enhancing the comfort of your outdoor space. 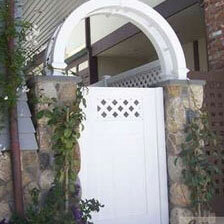 We also install custom and ready-made vinyl arbors. Our installations are fast and our prices are always affordable. Interested in learning more? Call us today to schedule a FREE consultation and estimate. 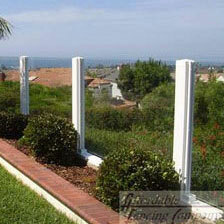 Affordable Fencing Company provides FREE estimates on all new fencing projects in Stanton and Seal Beach. Whether you need a new fence, arbor, or patio cover, we'll work closely with you to determine the best and most affordable solution to meet your needs. 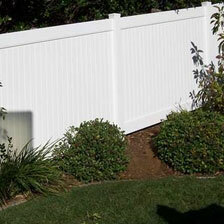 Once you've approved the design, we'll proceed quickly with customizing and installing your fence. In addition to offering 50-year to Lifetime warranties for our vinyl and aluminum fencing, respectively, we'll even match the published warranty of any major vinyl manufacturer.